The most essential and important thing in our life is that we should have faith in God, absolute faith in God. If we do not have Guru Bhakti and faith in God, whatever we may possess is of no use. If we have Guru Bhakti and Blessings of the Guru, then it is more than sufficient and it is more than what we can possess materially in this world. There is no greater God, or greater religion than Faith. Faith is everything. This Beggar has been assigned a great mission. And this Beggar does His work in every step He walks. He gives advice or help to those few people who come to Him, but as a general rule, his Real Work goes unnoticed, please excuse Him for giving some importance to this body! When you water the root of a tree, the sap reaches the tip of every leaf, flower, the tip of every branch. When you serve a Saint, you are serving the entire mankind. Whoever reads Ramayana feels that he is in the presence of Sri Rama. Whoever reads Mahabharata feels that he is in the Presence of Sri Krishna. Whoever garlands this (showing Swamiji’s) picture, puts flowers, offers Neivethia and Aarthi and tells this Beggar’s Name once, will be blessed by My Father. Always remember Father. Do not forget Father. Keep the Name of God on your tongue always. There is no need for any japa or dhyana for you. You are in the company of this Beggar all the time. So you are doing tapas all the time. Your service to this Beggar will do. Transformation is going on aall the time. The greatest tapas for anyone is to stay near one’s Guru and do service to Him. But very few are given this chance. Whatever this Beggar does is a blessing. Even when He shouts at people in anger, it is only a blessing. They will surely benefit from that. When they sit in the Presence of this Beggar, my Father transforms them even though they may not be aware of it. Each event and experience in our lives is grace, and is God’s blessing, however it may seem. Father is Love, and is always beneficent, so all that He gives is beneficent. Aum Arunachaleshwarar Shiva! Yogi Ramsuratkumar Jaya Guru Raya! This Beggar was wandering here and there but became tired of it. But there was no shelter. Arunachaleshwara, in the Form of this Holy Hill, had mercy on this miserable sinner, so this Beggar gives a thousand thanks to this Holy Hill and the Holy Temple! They saved this Beggar. Oh! Magnanimity of the Lord! "Arunachala Shiva Arunachala Shiva Arunachala Shiva Aruna Jada." “This is the house,” showing Arunachaleshwarar temple of this Beggar from ages to ages. Like Ram Naam, Shiva Naam is very elevating. Recite Shiva Naam constantly, like pouring oil from one pot to another, without break. Nama Japa should be sustained, just as pouring of oil, is not broken. That threat of nuclear weapons is the greatest poison in the world. When the devas and asuraas churned the milky ocean, the Halaahalaa poison came up. They wanted to find a place to keep it, for it would kill every being. At that time, Lord Arunachaleshwarar appeared and swallowed the poison. Like that, these nuclear missiles are poisonours. Lord Arunachaleshwarar will appear and swallow this also. Here the scientists of the world do the churning. The Halaahalaa is the nuclear weapons. The Lord will save us from this threat. My Father has given an assurance to this dirty Beggar that this holy land always some Great Masters will exist. He will protect the people, look after them nicely, He will see this land, Holy Land, flourishing all the time in every respect. Sri Jeyendra Saraswathi has made a great sacrifice for the nation. Nobody can do like that. Sri Jeyendra is great, Jai Jai Jeyendra, Jai Jai Jeyendra! India is the land of Great Masters. This is our playground, our Leela Bhoomi. This country is rooted in Vedas, which are the most precious work of the ancient Rishis. If Sanathan Dharma rooted in Vedas is gone from India, then India is gone too—then, India is nothing! Vedas are not only good for one country, but for the entire mankind. If they are preserved, mankind too will exist. Like Vivekananda said, India has been producing sages for ages and ages. But without Vedas and Sanathan Dharma, it can no more do so. Vedas are to be preserved at all costs. Where is Yogi Ramsuratkumar? (pointing to His Head and Feet) Is He only from here to here? Those who think so will become narrow, selfish and miserable. He is here, there, everywhere. There is no place where, this Beggar is not. “The world will be united. We need one world. The whole world should become one family, where people can move freely. When this Beggar talks like that, people say that it is utopist. It does not correspond to reality. The world will not change. Krishnamurti was talking about the unity of mankind. My father’s will, nothing can resist. It is my Father’s will that the unity of mankind will come about on earth. Nothing can resist the Divine Will. My Father will see to it that the unity of mankind will become a reality”. We are Undivided Whole, not separate from each other, Wholeness of All Life. “Krishnamurti has said that we should not divide and separate. Everything is an indivisible whole. We are interdependent of each other and everything. In this universe, everything is related; the sun, the moon, the trees, this house, you and me… all are related. Any single movement of any one of them is bound to affect the entire cosmos. We should learn to look at life as a totality. It is all one Life. All are related. Father's Work, the Vedas and the Ashram. “To tell you the truth, the whole humanity exists only because of the Vedas, the Veda Mantras and the Great Masters”. “We work from one spot, taking into consideration the entire cosmic movement. All are moving together towards one single point, always progressing. When this Beggar gives word, it will take place, if it fits in harmony of the entire cosmos for its good. Mostly it happens and what we utter becomes true. But a rare few times, it may fail also, due to some disharmony somewhere in the cosmos. And the failure is then for its greater good only. Though the failure is only apparent, but if the individual has got unshakable faith that works. Whatever happens, the faith should be unshakable. Faith must be total". “I do not seek for happiness. I only want to do my Father’s work. If even one being has benefited my life, that is enough. It has been worthwhile. And if this body dies, the soul that may remain, may it be born again to do my Father’s work”. “Always remember Father. Do not forget Father. Keep the name of God always on your tongue”. “This Ashram is different from other Ashrams. The whole cosmic work will be done from this Ashram. Whether this Beggar is in the body or not, the whole cosmos will be controlled from the Ashram. Whoever comes anywhere near the precincts of this Ashram, will not go empty handed. They will go, filled with Father’s Grace. That is the TRUTH". Beggary is not a crime in India. Beggars are permitted by Vedas. Great Masters come in the form of Beggas. Of course, it is very difficult to distinguish the Masters from the beggars. Grahasthas may give food. But they will not allow Beggars like Me to sleep in their house. Temple is our only shelter. Our only refuge. If you want to make India like Europe, Great Masters will not come here (tears). If they are protected, they will do their Leelas here. If you throw one meal to a beggar, it is not going to make him a millionaire! Nor would you lose your fortune! Yogi Ramsuratkumar always shared an interesting relationship with some other Masters. The enigma of what transpires between some of them is very intriguing and inspiring. One can see that the Masters dont just meet on the physical as it appears but rather their exchange is beyond the realms of this world. What is shared here are only little crumbs from the Master's plate perhaps giving us a little taste of an insight of these interesting events. Swami Gnanananda Giri had been the Shankaracharya in the North but had given up the position to be free to move about. He was a mature person and spiritually highly accomplished. He lived far over a hundred years physically. He consecrated a statue resembling himself, when feeling time for a ‘change’ was approaching, as Yogi Ramsuratkumar also did with the Murti of himself at the hall of his ashram. Yogi Ramsuratkumar used to spent time with Swami Gnananada Giri in Tirukoilur. There were several people that seemed to recall Yogi Ramsuratkumar’s stay in Tapovanam even in the late seventies and early eighties. 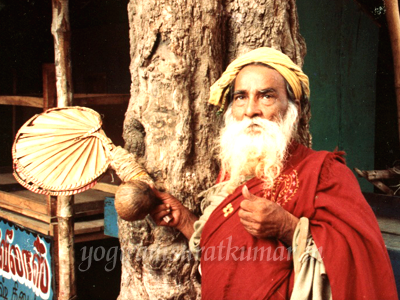 Gnanananda Giri Swamigal had gifted Yogi Ramsuratkumar with a palm leaf fan. Yogi Ramsuratkumar actually carried two tied together usually, and was known to local people as ‘VISHIRI SWAMI,’ ‘the swami with a country fan’. These fans are made out of a leaf of the palmyra palm tree, and are very easy to use and very efficient. The two Swamijis had a wonderful time together. Most likely more transpired in between them than is visible to most of us human beings. ‘A Yogi is not affected by grief, sin or blemish in mind. If the mind’s dirts are cleaned, automatically it turns towards Paramatma. On His own part Yogi Ramsuratkumar remained a devout Lover of Sri Kanchi Paramacharya. Very reverently Yogi Ramsuratkumar would refer to Paramacharya as Mahaperiyava (The very Great One). If ever anyone were to visit Yogiji from Kancheepuram, one would instantly find Yogiji bowing down in Sashtanga Namaskar (prostration where eight parts of the body touch the ground) proclaiming to all that the visitor had indeed brought Sri Paramacharya’s blessings for “this mad Beggar” and all else! Yogi Ramsuratkumar said, he wanted to know, how J.Krishnamurti was and went to Chennai once to see him. He used to say that every master has a ‘work’ given to him or her by the father, by God, and these ‘tasks’ differ with each one. He said he found JK genuine and was inspired by him, irrespective of his critical way of talking about traditional spirituality. He showed sober admiration and great love towards those who lived or who spoke of genuine insightfulness or sincerity of Heart. With him I always was aware of existential quality to everything being foremost, the inner life-line with our expressions, perspectives or simplicity the person might have. When I first met him I felt, ‘This man was a person of genuine true wisdom.’ His gestures, even first a few words, commanded attention which touched deeper than any information or casual ‘Hello’ could do. There is a very interesting tale narrated by Yogi Ramsuratkumar regarding His meeting with J. Krishnamurthy. Yogi Ramsuratkumar had mentioned in respect to the paradoxical nature of the teachings by the two Masters, Swami Ramdas and J. Krishnamurthy. 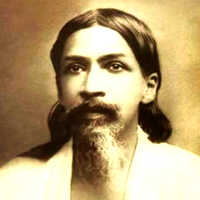 He narrated as follows, “My Master Swami Ramdas emphasized that, ‘Everything is in the Name.’ When I read J. Krishnamruthy, with equal reverence and interest, I found that he said, ‘there is Nothing in the Name.’ I was perplexed. Two differing diametrically opposed statements. I also knew both utterances came from Great Masters. Swami Ramdas had passed away. So I sought Krishnamurthy to get this clarified. I went to Madras; Krishnamurthy had gone to Rishi Valley. I went there. I could not meet Him privately. Krishnamurthy then went to Bombay; I followed Him. There also I could not meet Him. He returned to Madras; I too relentlessly followed. I was keen to get my doubt cleared by this Living Master. In Madras I was told I could not meet Him. Early one morning, I waited in the garden of Vasanth Vihar, hoping Krishnamurthy would come down and meet me. What happened I can’t describe as dream, vision or reality! But this is what happened; Krishnaji came straight to me, I prostrated before Him. After some time He lifted me up and put both His hands on my shoulders. He said in His sweet voice, “Both of us say the same thing!” Then He left. Though Yogi Ramsuratkumar followed the instructions of His Master, Swami Ramdas, He was also very fond admirer of J. Krishnamurthy and had remarked once, “Krishnaji is for the non believers. For believers, there are any number; of Masters for them to follow. But for a genuine non believer what is the recourse? Hence Krishnaji chose totally differing terms yet acceptable to non believers. I assure you Krishnaji gives us the same essence as any of the Great Masters, but couched in opposite terminologies.” Thus, in some mystical sense, Yogi Ramsuratkumar shared a close relationship with J. Krishnamurthy. 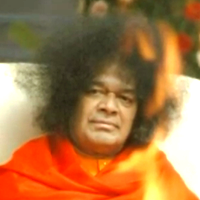 Yogi Ramsuratkumar and Sri Satya Sai Baba were deeply connected with one another and shared a unique relationship. He would often listen to the tape played by devotees, consisting of lectures given by Satya Sai Baba with much attention and rapture, and regard His (Sri Satya Sai's) voice as the “Voice of God”. 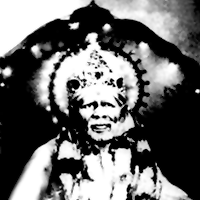 On the other hand, Baba would explain to his devotees that in Tiruvannamalai, Sai Ram lives as Yogi Ram. "He takes a stone and puts it here. He has a reason. He puts a thought behind it. And he hides behind his craziness; he hides behind his laughter. But he's stem, stem, so stem you have to do it just right. And people don't understand - why can't you just do it sloppy? Why not? Because when he puts a stone there, he's placing it for the universe; he's placing it for the world. He's changing the world with his thoughts, with his power. I tell you, I've had a letter from that man, and he calls himself with every other word, "this old sinner, this old beggar." Well, if he's a sinner and beggar, he's the most beautiful 'sinner and beggar in this universe. He's powerful! If he puts a stone down, he changes the world!. He reminds me somewhat of Shirdi Sai Baba, who would go out on the temple porch in the afternoon and nobody would go near him because he was doing his universal things. They aren't funny, these strange people. These hidden angels, these great ones, help hold the world in balance. Perhaps they appear mystical to some, foolish to others, insane in the minds of the earthly sick ones who are tied to customs. Oh, we have a custom, you mustn't wear rags, no, no. Mustn't tie pieces of rock in your clothes. You'll end up in Bellevue with a psychiatrist saying you mustn't tie rocks in you dress. That's not nice, that's not the way humans do things. You've got to do it just the way everybody else does. Well, these great ones don't. Their ways break the rules of cultures. But to me they are the sacred ones who sacredly work for their brothers and sisters unnoticed - except that I brought it out into the open here, with all my heart. And he knows it this night. He knows it. I'm going to write him and tell him that people in the second biggest cathedral hall on the Earth heard all about you, Swami." In the early nineties Yogi Ramsuratkumar had an article from the Mountain Path read out to him often. This article described Harivansh Lal Poonjaji, to whom many people from from Tiruvannamalai went about that time to attend satsang with. There was a constant exchange of flow of devotees between Yogi Ramsuratkumar and HWL Poonjaji. A mystical mutual appreciation was hidden among the two Masters; unbeknownst to most devotees both the Masters had a hidden appreciation for each other. 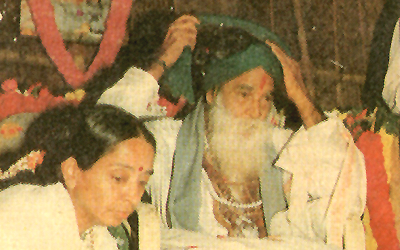 A devotee who considered HWL Poonjaji as their Guru, had once visited Yogi Ramsuratkumar during that time Bhagwan Yogi Ramsuratkumar had remarked to him “This beggar prays to Poonjaji that he keeps this beggar in his heart just as this beggar keeps him in his own heart.’, hence subtly indicating that in the inner sphere of consciousness both the Masters resided inseparably as ‘THAT ONE’. After Poonjaji had left the body, a few devotees visited Yogi Ramsuratkumar. One of them especially being close to Poonjaji mentioned to Yogi Ramsuratkumar as to “how difficult it was to be without a Master the most painful thing was not to be able to feel the Master’s touch.” Immediately Yogi Ramsuratkumar extended His hands towards the devotee. When she touched them she instantly felt her own Master’s hands in His, and started to weep with the tears of gratitude remembrance of her own Master. Yogi Ramsuratkumar looked at her very compassionately and penetratingly told her, “From now this hand and every hand that comes to you is only His hand” hence, restoring the faith within the lost lone heart of the devotee who missed her Master physical presence. Such was the Grace of the mystical association of these two Masters. Amritananda Mayi, Ammachi or ‘Amma’, from Vallikavu Kerela, spent some ten days in Tiruvannamalai, in the mid eighties, at the time of the yearly *Karthigai. Yogi Ramsuratkumar and she met at the Car tower and people present to see said it had been sweet and delightfully spontaneous. Once Yogi Ramsuratkumar happened to catch a glimpse of the young ‘Ammachi’ on the streets of Tiruvannamalai, it was during the time when ‘Ammachi - Mata Amritanandamayi’ was staying in Tiruvannamalai. On the other hand, Mata Amritanandamayi referred to Him i.e Yogi Ramsuratkumar as an Avadootha who ceaselessly worked for the spiritual evolution of humanity. A small group of people had come from Tiruchy. Yogi Ramsuratkumar took their Guru indoors and spent some time alone with Him, leaving the devotees to sit on the verandah of the Sannadhi Street house. When they emerged from inside, they both looked very happy. Yogi Ramsuratkumar stroked hands and commented that they were made to be healing people. 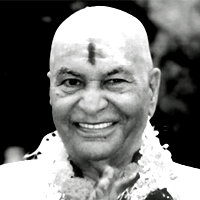 Later on the Swamiji used to send many people, who met Him, to see Yogi Ramsuratkumar. His devotees said, he talked about him often. "I liked the way he spoke about Masters, the love he felt for them. For him, India is the land that is the ‘playground of Masters,’ the land where spirituality accomplished people have lived and live. She nourishes and protects those are existentially whole, accomplished and integrated, and has acknowledged as one of goals and values of human life to attain that, she has loved, respected, protected and cherished people with existentially sound and authentic qualities as prime value in their life. 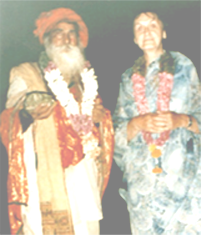 Having people with that specialization, she has sound ‘roots’ in her psyche and that gives wealth to her art, music, dance, spirituality and even culturally present attitudes that support wholesomeness and awareness consciously integrated into personal and shared experience among sages and devotees". Here are some of the Quotes of the most 'Known One's' - They, who have brought about a tremendous transformation into Human Consciousness and its Evolution. Our gratitude for such Mahatmas - They, who are beacons of Light for the entire Humanity and have inspired it, in moments of utmost darkness. May we receive their blessings too. 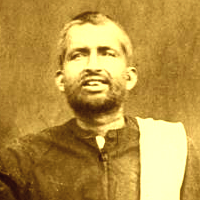 I am not a Bhakta, I am not a Jnani, I am not a worker for the Lord. What am I then ? A tool in the hands of my Master, a flute blown upon by the divine Herd-Boy, a leaf driven by the breath of the Lord. For monogamy may be the best for the body, but the soul that loves God in men dwells here always as the boundless and ecstatic polygamist; yet all the time-that is the secret-it is in love with only one being. The philosophers who reject the world as Maya, are very wise and austere and holy; but I cannot help thinking sometimes that they are also just a little stupid and allow God to cheat them too easily. I did my Lover's commands in the world and the will of my Captor; but they cried, "Who is this corruptor of youth, this disturber of morals?" If I cared even for your praise, O ye saints, if I cherished my reputation, O ye prophets, my Lover would never have taken me into His bosom and given me the freedom of His secret chambers. Human love fails by its own ecstasy, human strength is exhausted by its own effort, human knowledge throws a shadow that conceals half the globe of truth from its own sunlight; but divine knowledge embraces opposite truths and reconciles them, divine strength grows by the prodigality of its self-expenditure, divine love can squander itself utterly, yet never waste or diminish. To feel and love the God of beauty and good in the ugly and the evil, and still yearn in utter love to heal it of its ugliness and its evil, this is real virtue and morality. Our country is God the Mother; speak not evil of her unless thou canst do it with love and tenderness. If thy heart is troubled within thee, if for long seasons thou makest no progress, if thy strength faint and repine, remember always the eternal word of our Lover and Master, "I will free thee from all sin and evil; do not grieve." There can be no Karmayoga without the will to get rid of ego, Rajas and desire, which are the seals of ignorance. I do not mean philanthropy or the service of humanity or all the rest of the things - moral or idealistic - which the mind of man substitutes for the deeper truth of works. I mean by work action done for the Divine and more and more in union with the Divine - for the Divine alone and nothing else. Naturally that is not easy at the beginning, any more than deep meditation and luminous Knowledge are easy or even true love and Bhakti are easy. But like the others it has to be begun in the right spirit and attitude, with the right will in you, then all the rest will come. Works done in this spirit are quite as effective as Bhakti or contemplation. One gets by the rejection of desire, Rajas, and ego a quietude and purity into which the Peace ineffable can descend; one gets by the dedication of one's will to the Divine, by the merging of one's will in the Divine Will the death of ego and the enlarging into the cosmic consciousness or else the uplifting into what is above the cosmic; one experiences the separation of Purusha from Prakriti and is liberated from the shackles of the outer nature; one becomes aware of one's inner being and sees the outer as an instrument; one feels the universal Force doing one's works and the Self or Purusha watching or witness but free-, one feels all one's works taken from one and done by the universal or supreme Mother or by the Divine Power controlling and acting from behind the heart. By constant referring of all one's will and works to the Divine, love and adoration grow, the psychic being comes forward. By the reference to the Power above, we can come to feel it above and its descent and the opening to an increasing consciousness and knowledge. Finally, works, Bhakti and knowledge go together and self-perfection becomes possible - what we call the transformation of the nature. These results certainly do not come all at once; they come more or less slowly, more or less completely according to the condition and growth of the being. There is no royal road to the divine realisation. This is the Karmayoga laid down in the Gita as I have developed it for the integral spiritual life. It is founded not on speculation and reasoning but on experience. It does not exclude meditation and certainly does not exclude Bhakti, for the self-offering to the Divine, the consecration of all oneself to the Divine which is the essence of this Karmayoga are essentially a movement of Bhakti. Only it does exclude a life-fleeing exclusive meditation or an emotional Bhakti shut up in its own inner dream taken as the whole movement of the Yoga. 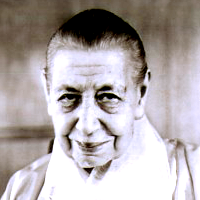 One may have hours of pure absorbed meditation or of the inner motionless adoration and ecstasy, but they are not the whole of the integral Yoga. Fundamentally, whatever be the path one follows – whether the path of surrender, consecration, knowledge – if one wants it to be perfect, it is always equally difficult, and there is but one way, one only, I know of only one: that is Perfect Sincerity, but Perfect Sincerity! Oh! It is very difficult. Just try for one hour and you will see how very difficult it is. Only one hour, to be totally, absolutely sincere. To let nothing pass. That is, all one does, all one feels, all one thinks, all one wants is exclusively the Divine. “I want nothing but the Divine, I think of nothing but the Divine, I do nothing but what will lead me to the Divine, I love nothing but the Divine.” Try- try, just to see, try for half an hour, you will see how difficult it is! It is the Divine Grace which makes you progress, and with the Divine Grace you feel the Divine Joy. But instead of identifying yourself with the Grace which makes you progress, you identify yourself with the ugly think you want to get rid of; and so, naturally, you feel like it and suffer. That is an experiment you can make if you are just a little conscious. There is something in you which you don’t want, something bad – for one reason or another you don’t want it, you want to pull it out – well, if you identify yourself ever so little with that thing, you feel the pain of the extraction; if on the contrary, you identify yourself with the Divine Force which comes to liberate you, you feel the joy of the Divine Grace – and you experience the deep delight of the progress you have made. And this is a sure sign for you, a sure indication of what you identify yourself with. If you are identified with the forces from below, you suffer; if you are identified with the forces from above you are happy. Aspiration is like an arrow, like this (gesture). So you aspire, want very earnestly to understand, know, enter into Truth. Yes? And then with that aspiration you do this (gesture). Your aspiration rises, rises, rises, rises straight up, very strong, and then it strikes against a kind of… how to put it?... lid which is there, hard like iron and extremely thick, and it does not pass through. And then you say, “See, whats the use of aspiring? It brings nothing at all. I meet with something hard and cannot pass!” But you know about the drop of water which falls on the rock, it ends up by making a chasm; it cuts the rock from top to bottom. Your dint of rising, it beats, beats, beats, beats, and one day it makes a hole. By dint of rising; and when it makes the hole suddenly it springs out from this lid and enters an immensity of light, and you say, “ Ah, now I understand.” Its like that. So one must be very persistent, very stubborn and have an aspiration which rises straight upwards, that is, which does not go roaming around here and there, seeking all kind of things. Only this: to understand, understand, understand, to learn, to know, to be.When one reaches the very top, there is nothing more to understand, nothing more to learn, one Is, and its when one IS that one understands and knows. Forgetting the Self, mistaking the body for the Self, going through innumerable births and finally finding and being the Self- this is just like waking up from a dream of wandering all over the world. He who asks “Who am I?” although existing as the Self is like a drunken man who ask about his own identity and whereabouts. When in fact the body is the Self, to think that the Self is within the insentient body is like thinking that the cinema screen on which a figure is projected is inside the figure. Has the ornament any existence apart from the gold (of which it is made)? Where is the body apart from the Self? The ignorant mistake the body for the Self, but the Gnani, however of the Self, perceives the Self as the Self. That one Self, the Reality, alone exists for ever. If even the Primal Guru (Adi – Guru, Dakshinamurthy) revealed it in Silence, who can convey it in speech. Ah! What a wonder! It (Arunachala) stands as an insentient Hill. Its action is mysterious, past human understanding. From the age of innocence it had shone within my mind that Arunachala was something of unsurpassing grandeur,(*) but even when I came to know through another that it was the same as Tiruvannamalai, I did not realize its meaning. When it drew me up to it, stilling my mind, and I came close, I saw it (stand) unmoving. “Who is the Seer?” When I sought within, I watched what survived the disappearance of the seer (viz. the Self). No thought arose to say, “I saw”, how then could the thought “I did not see” arise? Who has the power to convey this in words, when even Thou (appearing as Dakshinamurti) couldst do so in ancient days by silence only? Only to convey by silence Thy (Transcendent) State Thou standest as a Hill, shining from heaven to earth. When I approach Thee regarding Thee as having form, Thou standest as a Hill on earth. If with the mind the seeker looks for Thy (essential) form as formless, he is like one who travels the earth to see the (ever-present) ether. To dwell without thought upon Thy (boundless) nature is to lose one’s separate) identity like a doll of sugar when it comes in contact with the ocean’ (of nectar) and when I come to realize who I am, what else is this identity of mine (but Thee), O Thou Who standest as the towering Aruna Hill? To look for God ignoring Thee who art Being and Consciousness is like going with a lamp to look for darkness. Only to make Thyself known as Being and Consciousness, Thou dwellest in different religions under different (names and) forms. If (yet) they do not come to know Thee, they are indeed the blind who do not know the sun. O Arunachala the great! Thou peerless Gem, abide and shine Thou as my Self, One without a second! As the string in (a necklet of) gems, it is Thou in Thy Unity who penetratest all the diversity of beings and religions. If, like a gem when it is cut and polished, the (impure) mind is worked against the wheel of the (pure) mind to free it of its flaws, it will take on the light of Thy Grace (and shine) like a ruby, whose fire is unaffected by any outward object. When a sensitive plates has been exposed to the sun, can it receive impressions afterwards? O benign and dazzling Aruna Hill! Is there anything apart from thee? Thou art Thyself the One Being, ever aware as the self-luminous Heart! In Thee there is a mysterious Power (Sakti). From it proceeds, the phantom of the mind emitting its latent subtle dark mists, which, illumined by Thy Light (of Consciousness) reflected on them, appear within as though whirling in the vortices of prarabdha, later developing into the psychic worlds and are projected without as the material world and transformed into concrete objects which are magnified by the outgoing senses and move about like pictures in a cinema show. Visible or invisible, O Hill of Grace, without Thee they are nothing! When there is not the I-thought, then there will be no other thought. Until that time, when other thoughts arise, (asking) “to whom?” (will call forth the reply) “To me.” He who pursues this closely, questioning “What is the origin of the I?” and diving inwards reaches the seat of the mind (within) the Heart, becomes (there) the Sovereign Lord of the Universe. O boundless Ocean of Grace and Effulgence called Arunachala, dancing motionless within the court of the Heart! There is no (longer any) dream of such dualities as in and out, right and wrong, birth and death, pleasure and pain, or light and darkness. The waters rise up from the sea as clouds, then fall as rain and run back to the sea in streams; nothing can keep them from returning to their source. Likewise the jiva rising up from Thee cannot be kept from joining Thee again, although it strays into many paths on its way. A bird (which rises form the earth and) soars into the sky can find no place of rest except the earth. So indeed must all retrace their path, and when the jiva finds the way back to its source, it will sink and be merged in Thee, O Arunachala, Thou Ocean of Bliss. (*) - ‘To view Chidambaram, to be born in Tiruvarur, to die in Benares, or merely to think of Arunachala is to be assured of Liberation.’ This couplet is commonly known in the Brahmin households of South India. 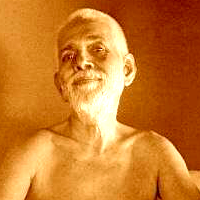 When Ramdas went to Ramana Maharshi, the Maharshi looked at Ramdas and Ramdas felt a tremendous change in him. Ramdas was filled with peace and joy beyond description. So by mere sight a Saint can raise an aspirant, but not by teaching. Perhaps that is the way by which God wants Ramdas to awaken to the divine light and joy in the hearts of all. If he says anything in order to teach them, what they should and should not do, he feels a sense of difference which is not the right thing for him. He is incapable of having any kind of attitude towards anybody except that of a child. What advice has he to give? He can only say that the Divine Mother is all in all. He can only tell you from his own experience that from the time he got this ineffable vision he has been filled day and night with untold ecstacy, all by the power of God’s Name. You too can repeat God’s Name constantly and by doing so all the impurities of mind will be washed away, and you will get the vision of the Mother everywhere as also of that supreme static Brahman or Shiva, and you will all become the very expression of that Supreme God who is at once Shiva Shakti. Ramdas will tell you how he was guided on the path of God – Realisation. Buddha taught him to annihilate all desires and reach that state of perfect quiescence called Nirvana which is equivalent to what the Hindu scriptures call Moksha. So far as the annihilation of desires is concerned, Buddha stands Supreme. Krishna taught RAmdas that the whole universe is His form, and based upon this very knowledge of the all pervading Self, one attains Moksha. Jesus taught Him that we should love all beings equally and our hearts should flow out in love to all beings. If you love everybody alike, the distinction which you see between man and man, community and community, country and country, disappears. Mohammed taught Ramdas self surrender. We should make Allah’s (God’s) will our will. From Guru Nanak Dev, Ramdas learnt that continuous Rememberance of God’s Name is the Sadhana of sadhanas. Awareness is that state of mind which observes something without any condemnation or acceptance, which merely faces the thing as it is. When you look at a flower nonbotanically, then you see the totality of the flower; but if your mind is completely taken up with the botanical knowledge of what the flower is, you are not totally looking at the flower. Though you may have knowledge of the flower, if that knowledge takes the whole ground of your mind, the whole field of your mind, then you are not looking totally at the flower. When you are hoping for something positively or negatively, you are projecting your own desire; you will succeed in your desire, but that is only another substitution, and so the battle is on again. This desire to gain or to avoid is still within the field of opposition, is it not? See the false as the false, then the truth is. You don’t have to look for it. What you seek you will find, but it will not be truth. It is like a suspicious man finding what he suspects, which is comparatively easy and stupid. Just be passively aware of this total thought process, and also of the desire to be free of it. An educator is not merely a giver of information; he is one who points the way to wisdom, to truth. Truth is far more important than the teacher. The search for truth is religion, and truth is of no country, of no creed, it is not to be found in any temple, church or mosque. Without the search for truth, society soon decays. The function of education, then, is to help you from childhood not to imitate anybody, but to be yourself all the time. And this is a most difficult thing to do: whether you are ugly or beautiful, whether you are envious or jealous, always to be what you are, but understand it. To be yourself is very difficult, because you think that what you are is ignoble, and that if you could only change what you are into something noble it would be marvellous; but that never happens. When one uses another for psychological purposes, then exploitation begins. All exploitation is based on psychological poverty of being. There will be no exploitation of man by man when this poverty of being is understood. Exploitation will not cease through mere legislation. There will be exploitation in different forms - at home, in public - as long as this psychological emptiness exists. You will be content with little, with the necessities of life, when you are inwardly rich. It is arduous to understand the deeper, psychological significance of exploitation, and without understanding it, to merely substitute one exploiter for another is to continue in strife and misery. Because psychologically, inwardly, you are poor, aching with loneliness, with emptiness, possessions made by the hand or by the mind assume predominating significance. This constant companion, this aching void, must be faced and understood; then exploitation, which is psychological, will cease. You know what fear is? Each one has his own particular form of fear - not one, but multiple fears. A mind that has any form of fear cannot obviously have the quality of love, sympathy, tenderness. Fear is the destructive energy in man. It withers the mind, it distorts thought, it leads to all kinds of extraordinarily clever and subtle theories, absurd superstitions, dogmas, and beliefs. If you see that fear is destructive, then how do you proceed to wipe the mind clean? What is the root of fear? Go on sirs! Can you look at your fear - please look at it now - invite it - naturally you are not afraid now, sitting here, but you know what your fears are: loneliness, not being loved, not being beautiful, frightened of losing your position, your job, your this, or that, ten different things.Now by looking at one fear, at your particular fear, you can then see the root of that fear, not only the root of that fear but the root of all fear. You understand? Through one fear, by observing it, by observing it in the sense the observer is the observed, then you will see for yourself that through one fear you discover the very root of all fear. There may be a few scientists, a few technical experts, a few engineers who really love what they do in the total sense of the word, which I am going to explain presently. But most of us do not love what we are doing and that is why we are occupied with our livelihood. I think there is a difference between the two if you really go into it. How can I love what I am doing if I am all the time driven by ambition, trying through my work to achieve an aim, to become somebody, to have a success? An artist who is concerned with his name, with his greatness, with comparison, with fulfilling his ambition, has ceased to be an artist; he is merely a technician like everybody else. Which means, really, that to love something there must be a total cessation of all ambition, of all desire for the recognition of society, which is rotten anyhow. If you all see the point, if you are all aware of this, loneliness, and running away from it, trying to cover it up, trying to fill it through various forms of entertainment, religious, football or this or that. So that's what we do. Now I'm asking myself: what has brought this loneliness about? Right? What are the reasons for it? When I am ambitious, I am isolating myself. No? When I am competitive, I am isolating myself; when I want to be superior to you, I am isolating myself; when I am seeking, pursuing pleasure, I am isolating myself. I don't know if you see all this. Right? So, this loneliness is a form of isolation which the mind has cultivated through ambition, through competition, through the desire for success, through the pursuit of pleasure, and this has brought about this sense of complete isolation, loneliness. Action can only be when there is complete freedom from the past and the future. And when we use the word 'right' it means precise, accurate, action which is not based on motive, action which is not directed, committed. The understanding of all this - what is right action, right action, right relationship, the understanding of it brings about intelligence. You understand? Not the intelligence of the intellect but that profound intelligence which is not yours or mine, and that intelligence will dictate what you will do to earn a livelihood. Vous avez compris? You have understood? Without that intelligence your livelihood will be dictated by circumstances. When there is that intelligence you may be a gardener, a cook, or something, it doesn't matter. You see now our minds are trained to accept status, position, and when one has understood all that, in the very understanding of all that is intelligence which will show what is a right livelihood. Love implies great freedom—not to do what you like. But love comes only when the mind is very quiet, disinterested, not self-centered. These are not ideals. If you have no love, do what you will—go after all the gods on earth, do all the social activities, try to reform the poor, the politics, write books, write poems—you are a dead human being. And without love your problems will increase, multiply endlessly. And with love, do what you will, there is no risk; there is no conflict. Then love is the essence of virtue. And a mind that is not in a state of love is not a religious mind at all. And it is only the religious mind that is freed from problems, and that knows the beauty of love and truth. Spend money in charity;be generous and munificent but not extravagant. Whatever creature comes to you,human or otherwise, treat it with consideration. - From sayings of Shirdi Saibaba. At one time Napoleon taught his soldiers, "Be clear and the rest will follow." He meant that pure feelings and actions will give one a pure heart. The whole world is a drama composed by God where every individual is an actor and God is the Director. Only the Director God creates the actors and designs all of the scenes. Whatever may happen is the manifestation of the Divine acts blossoming from the heart. Every human being is the spark of the Divine with Love as his natural trait and the goal of every living being and animal is to realize and manifest this Divinity. In this universal drama of life we are all acting to express Love; the end of transformation is to become the embodiment of Love. Prior to this Love is information and this information (knowledge) gathered throughout our lives culminates in individual spiritual transformation. Though everyone has been created out of Love, how unfortunate it is that man's responsibility and proper role to Love has been forgotten. In this drama everyone should play his role well, because if he does not, he will lose his reputation and respect. As everyone is a spark of the Divine, everyone should express the quality of Divine Love (Prema). There is a "chinna katha," a small story. Once there was a very loving man swimming in a river. As there had been a heavy downpour, the water was flowing very turbulently. Suddenly he saw a scorpion floating in the water. Out of concern he gently picked it up and placed it in the palm of his hand. As it is the nature of the scorpion to bite, it bit the man and he quickly dropped it back into the river. But since he could not bear to see the scorpion drown, he again lifted it up to save it and again he was bitten. A cowherd boy came up to him and asked, "Why do you try to save it when its nature is to bite?." The kind man replied, "It may be the scorpion's nature to bite, but I am a human being and my nature is to Love. Why should I disregard my nature?." So we may reap the harvests of Love." One's whole life should be full of Love. The true meaning of life is Love. Love is essential for life. The mind should be full of Love, the heart compassion. True human life must have Truth and Love. Today man is dropping Love for pleasures because he is not understanding the nature of Love. Worldly life is temporary, momentary and ephemeral. Earlier the ladies sang, "I am God." Everything is the form of God and God has an infinite number of forms. When one has determination concerning this Truth, then Love will naturally flow. Right from birth to death man is searching for Bliss. A boy is happy if he passes and goes to the next class in school. But how long does this happiness last ? Soon he desires a first class standing in university, and when he achieves it he is happy. Then he wants to be a post-graduate. He achieves it and is happy, but for how long? He then desires and obtains a job and then a wife. After getting these he is happy, but for how long? Next he wants a son, then a daughter. He goes on struggling for happiness, desiring objects one after another until he retires. Then he wishes for peace. Thus happiness comes and goes; it is impermanent. All the worldly happiness is not equal to the spiritual happiness of the Atma. What is Truth? Truth is evident when one expresses selfless Love. A life lived in Truth is Bliss. One's life should be full of Love. A heart without Love is poisonous. You may smile and say hello, but if it is not expressed from the heart, but only from the lips, it is not genuine or truthful. Today the world is behaving in such an artificial manner that all are only attracted by falsehood. For example, if you drop a handkerchief, someone retrieves it for you and you say thanks, it is often an artificial thanks. Only pure selfless Love is Divine Love; all other love is artificial. Some only pray to God during difficulties and when they have no difficulties they forget God. Spending our life in gratitude and giving something back is the proper role in life's drama where God is the Director and His nature is Love. This Divine drama should not only be an expression but also a propagation of Love and Truth. All this life that we think is real is only a dream and all the pleasures that one experiences and enjoys are not Truth. There was once a poor man who had a wife and a son for whom he could not afford to provide. So he left home to earn money. In the meantime, unknown to him, his son died. One night he had a dream that he was a very rich man living in a large bungalow with five healthy sons, servants and all other amenities. After he awoke from the dream he couldn't find his bungalow and his five sons; he visited his wife who informed him of the loss of their only son. Now he thought, "Should I weep for the poverty and the loss of my only son that I am suffering from now, or should I weep for the loss of my five sons and riches in my dream?. Which of these is the Truth?" Neither are the Truth. "I" am the Truth. In the waking state I have problems and in the dream state I had no problems, but both are false. The Truth is God and "I" am that God. Past is past and it can never return and tomorrow is uncertain. Today is the present; but it is not the ordinary present, it is the omnipresent. Both the waking and dreaming states exist in the mind, but don't follow the mind as it is like a mad monkey. Don't follow the body; it is like a water bubble that may burst at any time. You are truly the form of Supreme Bliss, non-dual, eternal, pure, unsullied, the witness, beyond comprehension, attributeless. Sai is the Supreme Preceptor. God is the eternal witness, but such Divinity is forgotten today and man struggles for the fleeting things. Who is near God? The one who follows God's commands and manifests Divine attributes. The secret is to have full faith in God; then one is a true human. The word for man is "manaci" (ma-na-ci). Man is the embodiment of Love. If we reverse the syllables in manaci, it becomes "ci- na- ma." Today's man is a cinema man; he is artificial and lacks compassion. But if he would follow the commands of God, everything else would follow. Though you have gold (God), from which you can make any type of jewellery (receive any Grace), you pray, "I want Bliss, Grace and Love." But all of these are ignorant utterances. The correct goal is in the prayer, "God, I want You." Everything is nothing without God. Everything material in the world is really nothing. Listening and experiencing this Truth is true Happiness and Love. But we are starting and ending the day with sadness and weeping instead. Napoleon has said, "Be clear and the rest will follow." Napoleon had great control over his mind. When one has mind control work can be transformed into worship. Do all acts, whether of service or in one's profession, to please God. How does one experience God? You are wrong to say that you are the one who is working. For example, if you make a plan for a house, the idea has first come from the heart (God) and all that comes from the heart is Divine. You are not the doer, God is the Doer. When you are hungry you satisfy your hunger for yourself. When you love a child it is for your own satisfaction that you kiss him. So all works are done to satisfy your own self. This truth is not recognized. One should perform all acts only for God or Atma and not to satisfy the mind and the inert body. When a doctor performs an operation he uses a knife, but who did the operation? The knife? No! The doctor performed the operation with the knife as the instrument. Similarly, you are the Master (the Atma), so make proper use of your instruments the body, mind and intellect. It is our good fortune to play a part in this drama designed by God; it is not possible for all to act in this play. In this play, every role is assigned by God; there is selection. Today in the worldly life, there is no selection, but only election. What happens in an election? You are not a candidate selected by God but you have to give a note (money) to get a vote. In selection God is in you as conscience. If we have been selected by God, we are most privileged to listen to Him. Love is the most important; there is nothing beyond Love. Everything is Love, so live in Love. Be happy; serve and worship God, then you will gain Eternal Bliss. None should put on castor oil faces. Smile, because Baba likes to see smiling faces. There are two types of smiles. One is a smile and the other is the loud laughter as in a cinema. You should not laugh loudly. The language of God is silence. Be pure of heart and steady in devotion. When the heart is full of Love, there is sweetness. The ladies sang, "Lord, Your Love gets sweeter and sweeter as the days go by...." One should recognize that such sweetness cannot be found anywhere except in God. Put into practice all that is learnt in the texts or else that learning is useless. As all acts are performed through the body. Love should emanate through you. In a tumbler of water, the tumbler is only a container. Without the tumbler you cannot contain the water. Likewise, the body is like a tumbler full of Divine Love. Jayadeva prayed, "O tongue, the one that knows the taste and talks of God is the only worthwhile one. O tongue, no one has your quality of patience. How carefully and peacefully you move amidst the enemies (thirty-two sharp teeth). Knowing the taste of both sweet and bitter things, you eat the sweet and throw out the bitter." The tongue has the sacred quality of discrimination between what is good and bad, what should go in and what should stay out. It is has no associations and visits no one; it remains in the mouth. Some people go from house to house like rats and cats. The tongue should not accuse others and spend time in falsehood. Let only the name of God dance on the tongue. The tongue is "nataki," a dancer. What does nataki mean? It is a vehicle of maya or illusion. It dances continuously. How can one control natakfl Reverse the syllables to "kitana" (continuous singing). Continuously singing the glory of God with Love is the only way to reverse the illusion, not by force but by "source" (realizing the Atma). This is the role that one should play in the Drama to gain a very good reputation. One should deserve God's Love; when you are not accepted by God, you are cheap. God's Love is immense like a Divine mother's Love, so through your exemplary conduct and by following His commands He will submit Himself to you. God creates the devotee', and the devotee also creates God by constant remembrance. The devotee has no value without God and without the devotee there is no God. The unity of God and the devotee exalts the human quality and proves that God and the devotee are one and the same. This Sacred Truth is made unsacred today. When we take birth we cry, "Koham? Koham?" (Who am I ?). When we die we should have the answer, "Soham" (I am He). In an exam when you write the correct answers you will get good results. Learn well, pass the grades, earn the degrees, and then God will claim, "You are Mine." When God says this it is our greatest fortune. In order to safeguard this fortune, think of God continuously and sing His name with Love. Swami ended His Discourse by singing, "Prema Mudita Manase Kaho, Rama, Rama..."
- From Discourse on April 7, 1996, Easter Sunday. It is not in anything objective. It is neither the creation, nor the creator of this universe, nor the God who is looking after preservation, nor destruction. It is none of that. It is neither the sun, nor the moon, nor the stars, nor the wind. Those are not freedom. No object is freedom. Go on rejecting everything objective from the mind. Freedom is nothing that the mind can conceive or perceive or understand. Finally you will arrive at that which cannot be rejected. Go on rejecting everything that can be rejected, all objects. Get rid of all objectification. Finally, when you see nothing more to be rejected, the mind will be quiet. Mind will be no-mind: That cannot be described. All description belongs to the objective world only and consciousness cannot be objectified. In the beginning when there was nothing there was consciousness - total consciousness - where no objects and no subjects existed. You are this consciousness. Starting from the beginning, before the beginning, you are this consciousness. And this consciousness became all that you see. You are this consciousness itself. There are millions of kinds of manifestation existing in consciousness and you have become all this. You are the fountain of all this creation. For this you do not have to exert or make effort, or search for any way or method or practice. Somehow you have to arrive here. How can you do it? Through adoration of the wisdom of the Self. That is consciousness. Adore your own consciousness with wisdom and you have achieved what you are aspiring for here and now. A man may not know the right path, but if he has bhakti and the desire to know God, then he attains Him through the force of sheer bhakti. Once a sincere devotee set out on a pilgrimage to the temple of Jagganath in Puri. He did not know the way; he went west instead of south. He no doubt strayed from the right path, but he always eagerly asked people the way, and they gave him the right directions, saying, This is not the path; follow that one.' At last the devotee was able to get to Puri and worship the Deity. So you see, even if you are ignorant, someone will tell you the way if you are earnest. He is born in vain, who having attained the human birth, so difficult to get, does not attempt to realize God in this very life. Seekest thou God? Then seek Him in man! His Divinity is manifest more in man than in any other object. Man is the greatest manifestation of God. It doesn't matter what kind of action you are engaged in. You can be united with God through any action provided that, performing it, you give up all desire for its result. It is very difficult to understand that God can be a finite human being and at the same time the all-pervading Soul of the universe. The Absolute and the Relative are His two aspects. How can we say emphatically with our small intelligence that God cannot assume a human form? Can we ever understand all these ideas with our little intellect? Can a one-seer pot hold four seers of milk? When a thorn gets into the sole of your foot, you procure a second thorn. After taking out the first thorn with the help of the second, you throw both thorns away. Likewise, you should procure the thorn of knowledge in order to remove the thom of ignorance. After destroying ignorance, you should discard both knowledge and ignorance. Then you attain vijnana. "Who can ever know God? I don't even try. I only call on Him as Mother. Let Mother do whatever She likes. I shall know Her if it is Her will; but I shall be happy to remain ignorant if She wills otherwise. My nature is that of a kitten. It only cries, 'Mew, mew!' The rest it leaves to its mother. The mother cat puts the kitten sometimes in the kitchen and sometimes on the master's bed. The young child wants only his mother. He doesn't know how wealthy his mother is, and he doesn't even want to know. He knows only, 'I have a mother; why should I worry?' Even the child of the maidservant knows that he has a mother. If he quarrels with the son of the master, he says: 'I shall tell my mother. I have a mother.' My attitude, too, is that of a child." “Who is it that loves and who that suffers? “I find one vast garden spread out all over the universe. each has his own uniqueness and beauty. Their presence and variety give me great delight. “Joys and sorrows are time-born and cannot last. Therefore, do not be perturbed by these. and the more will your prayer increase from within. 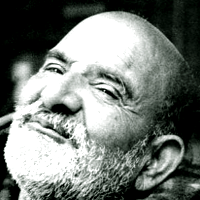 Neem Karoli baba was very unique. He never gave any discourses or wrote any articles or books. His mode of teaching was through simple stories and practical examples. With small nuggets he transformed total personalities, that is his power/miracle. "The real contentment comes only when there is no desire, no hankering in your mind for anything. How can you say that you have got everything and do not want anything more when you are holding an empty vessel in your hand? You might be saying this with your mouth, but there would always be the worry in your mind about how the pot could be filled, always looking from side to side with the expectation that somebody will come and fill it up. Well, how can you call this contentment? When one sees that when the pot before him is full to the brim, it is emptied, and when it is empty, it is refilled of its own – that is contentment. If anyone wanted to give him anything, he would show that the pot was full already. What would he do with anything more? Even if he wanted to share it with others, where would he put it? This is the real contentment and it comes only through the grace of God. When you have full faith in Him, full reliance on Him, when you can surrender everything to Him, then that grace comes to you by itself - you do not have to ask for it or make any effort. Such is the value of faith in God." Babaji said this story to illustrate how one should remember God -always. Narada. never stops chanting the names of Hari. He once asked Lord Vishnu who is his most ardent devotee. Vishnu said its a poor farmer. Narada was perplexed. To clear Nardas doubt Vishnu hands him a vessel filled to the brim with oil and asks him to go to the top of mountain and come back without spilling a drop. Narada returns with the oil intact. Vishnu asks "how many times you chanted my name" Narada said my mind was fixed on oil only. Vishnu then tells him that the farmer has his MIND always fixed on me all the time despite all his days work and duties. "I don't want anything. I exist only to serve others." "I have no powers. I don't know anything." "I am the father of the world. The whole world is my child." "Ask God or Hanuman. I'm just an ordinary being. I can do nothing." "Love all men as God, even if they hurt you or shame you. Be like Gandhi and Christ." "If you want to see God, kill desires. Desires are in the mind. When you have a desire for something, don't act on it and it will go away. If you desire to drink this cup of tea, don't, and the desire for it will go away." "In India, yoga flows in the blood of people." "When a man has reached the point where he can sit in meditation for six months, there is no need of eating, no need of latrine or of rest. Only one drop of amrit nectar from the top of the head to the body keeps him alive. If a tiger eats that body there is no care, but only when the life comes back to the body will there be pain." "A pure woman is better than a hundred yogis. Women are more open to love God." "Women are higher than yogis if they are loyal to their husbands." "A wife must serve God by serving her husband." "A woman is a snake; you shouldn't even touch her." "If husband is happy, God is happy"
"If you desire a mango at the moment of death, you'll be born an insect. If you even desire the next breath, you will take birth again." "When you are sad or in pain or sick or you witness any cremation then you actually learn the many truths of life." "It doesn't matter if you are married or not, it only matters how much you love God." He chided: "This world is all attachment. Yet you get worried because you are attached." "The heart never grows old." "Everything is impermanent, except the love of God." "It's better to see God in everything than to try to figure it out in everything." "Worldly people go outward, but you must go inward like the tortoise, withdrawing within your shell." "If you have enough faith, you can give up money and possessions." "Forgiveness is the greatest weapon, because a saint so armed is imperturbable.... he can give up anger immediately." "See God in everyone. it is deception to teach by individual differences and karma." "When you loan money to a saint, don't expect to get it back." He chided: "This world is all attachment. Yet you get worried because you are attached. 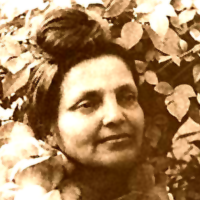 Maharajji asked an Indian girl four times, "Do you like sorrow or joy?" 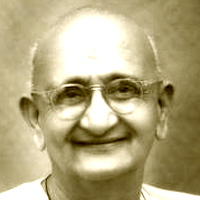 each time the girl answered, " I've never known joy, Maharajji, only sorrow." finally, Maharajji said, " I love sorrow. it brings me closer to God."